After publishing my first book Possible Origins, one of the most surprising questions I regularly get is: Why does it matter now? What difference does it make? In other words, after enjoying my book and finding it convincing, they want to know why it matter that historically martial arts, theater and religion were a unified whole? This question shocked me repeatedly because it is so close to home. Why is the answer self-evident to me, yet not self-evident to other people? Is there something obvious to me that needs to be explained to other people? I love martial arts, the more I know about them the more I love them. The more I know about the history and culture that created the arts, the more reasons I have to love them, and the more ways I have to love them. How is this not obvious? I am not sure I have the complete answers to those questions but my second book will have a lot more 20th Century history than my first book because if martial artists lack 20th Century history they probably do not realize the extent to which the 'Art' portion of the martial arts was destroyed. I also just finished reading Imperfect Understanding by Wen Yuan-ning and others, edited by Christopher Rea. 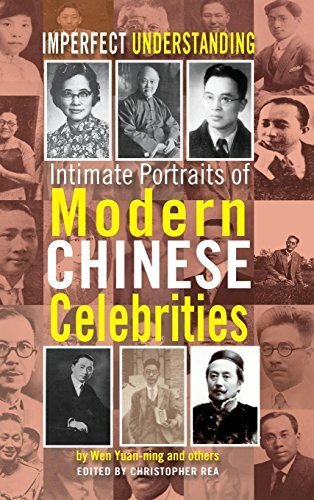 It is a collection of about 30 short biographies of famous Chinese people all written in 1934. The accounts are all funny, and intimate. They all delight in connections to Western cultural ideas, art and literature. The subtext (that which is left unsaid) is fascinating, but mostly in hindsight. Chu Ming-yi, for example, would take Tai Chi to the Berlin Olympics two years later in 1936, and was executed before a firing squad (for advocating peace with the Japanese) in the 1940s. But in 1934 he was a joyful inventor who loved performing amateur opera and martial arts, and has all kinds of muscles like biceps and triceps! Mei Lan-feng, the best known Chinese Opera performer of his time, was already facing the massive shut down of Opera culture by 1934, Kungfu movies were banned! But the biography is optimistic about the future and how much Mei Lan-feng is loved in the West "the greatest performer since Nijinsky." This kind of humor and pro-Western optimism was completely eliminated by Communists. The Communists oversaw Four Mass Destructions. People: No other government in history has killed so many of its own people. Sixty million is a good guess. 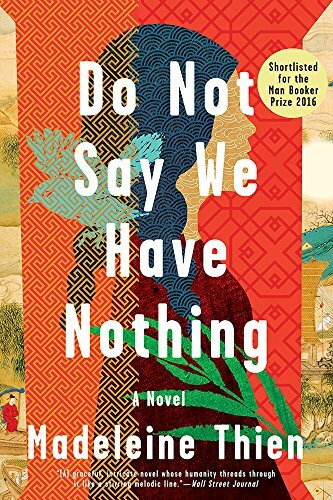 Ideas: In successive waves, the Chinese Communist government elicited original and insightful ideas from the population and then rounded those people up for immediate execution or slave labor, where most of them died. By the third time the government pulled this 'stunt,' people had learned to not think. Ideas, including ideas about history and culture, if they happened at all, were left unspoken. Ideas not spoken or written down, die. People in the PRC today have regained the ability think, but there is a bloody history associated with thinking. The government who shed that blood is still in power. Art: Art was outlawed. Artists were beaten, tortured, sent to slave labor camps and executed. Western musical instruments like pianos and violins were all smashed. Only 18 patriotic songs were legal for the ten years of the Cultural Revolution. The barely lingering 19th Century idea of Martial arts as "art" was completely obliterated. Artists that survived were deeply traumatized. Humor: Humor was banned too. Obviously. If you cannot have ideas or art and people are being slaughtered, humor would be the only thing capable of preserving an ounce of sanity. Funny people were just shot. Many people in China in the 1920s and 30s had aspirations for China to be a Western Power with uniquely Chinese insights and influences. It was popular to think about Chinese culture as effortlessly blending and melding into the World history of literature, art and science. Chinese Modern was lively and upbeat! After World War Two and the Communist takeover it was crushed, Modernity did not return until the 1990s. How does this effect the martial arts? There is a conspiracy to either not discuss the past, to dismiss it as unimportant, or to make false or obscuring statements about it. The conspiracy has been so effective that there are people practicing the martial arts today who claim to be only interested in fighting skills. For some reason they do not see the miles and miles of dead bodies following them around.